Wonderful renovated one bedroom, one bathroom turn key end unit condo with private patio in an excellent location with resort style living. 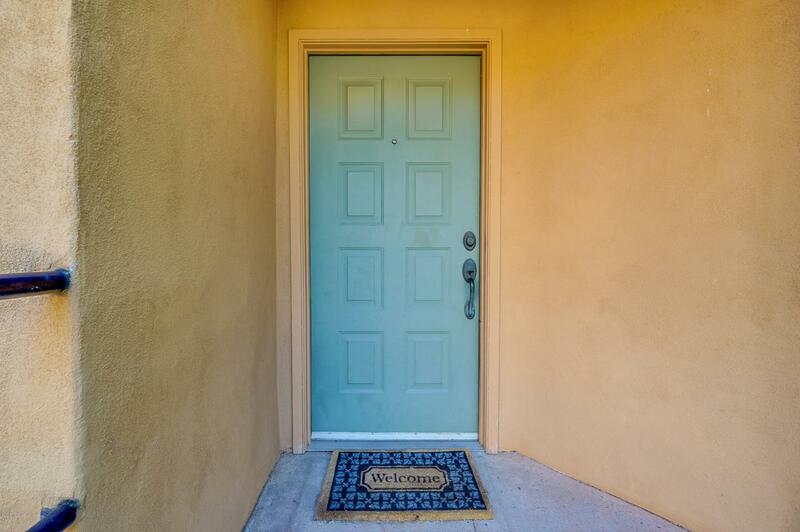 This is a terrific, low maintenance option for seasonal residents, as a rental property, or as full time home in the Catalina Foothills school district. 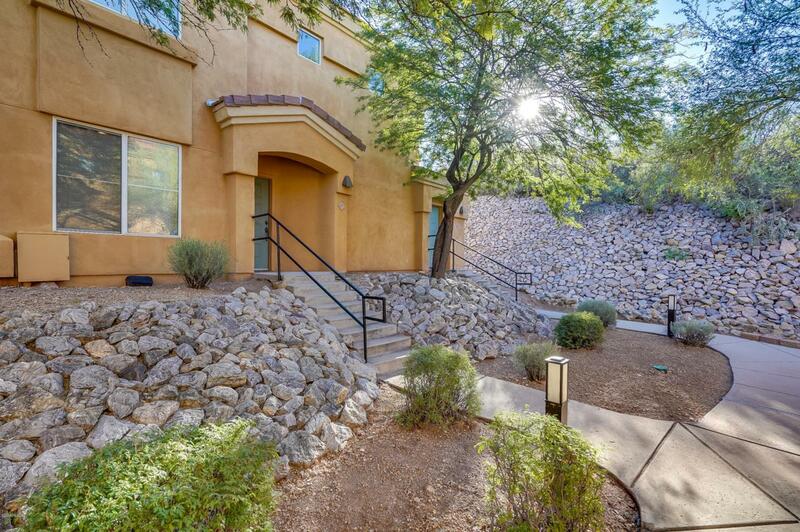 Pinnacle Canyon residents enjoy amenities including a full gym, pool, hot tub, clubhouse and gated entry. 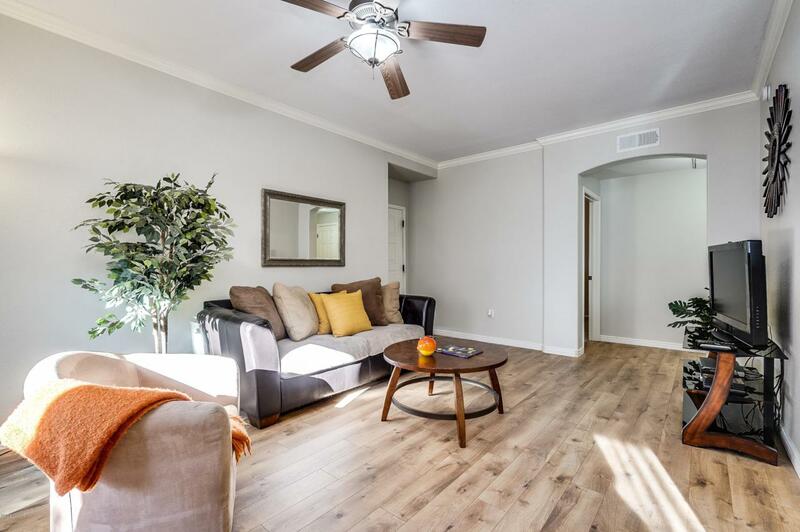 Within walking distance, there area variety of restaurants, a grocery store and other conveniences. 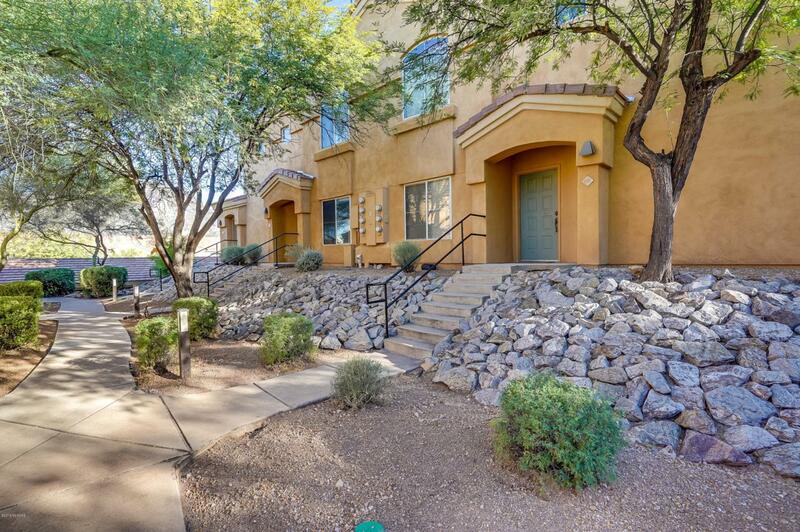 Just over 1 mile away is the renowned Sabino Canyon Recreation area with excellent hiking and Ventana Canyon offering hotel lodging, dining, golf, tennis and more.